‘Big Little Lies’ developed by its own merits, one of the series most acclaimed of 2017. So enchanted were the protagonists and HBO with her that he ended up giving the green light to a second season, who now has his first trailer, which reveals their exact date of premiere: June 9. 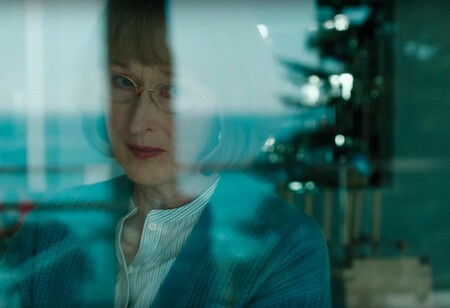 Nicole Kidman, Reese Witherspoon, Laura Dern, Shailene Woodley and Zoe Kravitz returning for a second season, in which the main novelty is the signing of Meryl Streep. The triple winner of the Oscar gives life to the mother of the character played by Alexander Skarsgard, who reached Monterey to discover what happened to his son. does The replacement of ‘Game of Thrones’? HBO has been very clever to wait until the day of the premiere of the last season of ‘Game of Thrones’ to launch the advancement, since this will certainly give you a higher visibility. And the release date a little less clear who will be his replacement when the adaptation of the literary saga comes to an end on may 19. The news The first trailer for season 2 of ‘Big Little Lies’ revealed when we return to Monterey was originally published in Espinof by Mikel Zorrilla .